Perched above 10,000 feet in altitude, Keystone is one of Colorado's favorite ski resorts. But in the summer, the town breathes new life. The mountain turns into a warm-weather wonderland. The town center hops with festivals and live music. And travelers looking for a discounted vacation can be happy to know lodging is often discounted, as much as 40 percent off. Keystone is packed with fun all summer long. It's much more than just a ski town in the winter. Here are 10 of our favorite ways to enjoy the mountain when the weather warms up. Keystone is the only place in Colorado to go tubing in the summer — on real snow. Head up to Adventure Point for the multi-lane hill, easily accessed via a lift, so you can squeeze in more fun, without having to haul the tube back up the hill alone. Keystone's located at the top of Dercum Mountain way up at 11,640 feet, so there's snow here year round, even when the sun is shining and the temps are high. This activity is super popular so make reservations in advance. Prepare for breathtaking views, too. Note: At this high altitude, make sure you take care of your body and hydrate plenty, get enough sleep and take it easy on the booze. Altitude sickness is no joke and it's extra risky in an extra-high-altitude spot like Dercum Mountain. Fun fact: Keystone Resort's golf course was named by GolfDigest 2016 Editors’ Choice as one of the five best golf resorts in the Rockies/Great Plains area. Here, you can enjoy an incredible 36-hole facility with two different courses. If you have never golfed at high altitude, give it a shot. It's a whole different, er, ball game. Even if you don't play up to par, the views are rewarding, in and of themselves. Cycling through the mountains is one of the most thrilling and scenic ways to enjoy the snowless mountains. Keystone offers a Keystone Bike Academy, catering to riders of all levels. Sign up for clinics, from beginner to intermediate, or private lessons, depending on your goals and abilities. New to mountain biking? Take Bike 101 and learn how to Learn how to balance, shift, and control your speed safely. Seeking an adrenaline rush? Check out the downhill guides. It's not a bad idea to take a class on downhill riding before barreling down the mountain. Keystone’s Kidtopia program offers all kinds of free activities every day, from nature hikes to dodgeball games. Kids can build kites, watch fireworks, munch on free cookies or saddle up for fun themed Wild West nights. There are activities all day, every day for kids in Keystone, making this mountain town one of the best places to visit for families. Kids are the top priority here. Keystone has a long list of some of the state's best summer festivals. A highlight is the annual Blue Ribbon Bacon Tour, with bacon samples, live music, a bacon-eating contest, beer and vendors all centered in downtown. Did we mention bacon? And bacon, too. Later in the summer is the Wine and Jazz Festival. Also look for the River Run Village Art Festival in late July. Come August and Keystone is home to the annual Keystone Bluegrass and Beer Festival. The Mountain Town Music Fest wraps up August. And taking advantage of the final stretch of warm weather before ski season is the Keystone Octoberfest and Taste of Keystone, both in September. Keystone really knows how to party. It's the best of both worlds: mountains and water. Keystone Resort is one of the lucky mountain towns to have its own lake, Keystone Lake. Visitors can go stand-up paddle boarding, kayaking, canoeing, or paddle boating on the water. Or just ride your bike around the lake to enjoy the breathtaking views. Alpine water tends to be a bit chillier than, say, the Pacific Ocean, so prepare for goosebumps (or enjoy the chill on a toasty day). Studio K is a reputable yoga studio in Keystone that offers mountaintop yoga, in addition to daily fitness classes in the studio. Do your Sun Salutations with the views of the Tenmile Range. At this altitude and with these views, it's easy to find your zen. Even if you aren't up for yoga in nature, the studio offers a regular list of classes you can drop into. Ahh, mountain zen. Keystone is also a foodie paradise. Find plenty of award-winning dining options. Make a toast on top of the mountain for an ultra-romantic dinner, or take a horse-drawn wagon ride to your quintessential Colorado meal. The food here is delicious enough to stand on its own, but it's the little details combined with the fantasyland environment that take Keystone to a new level — quite literally. One highlight in town: Alpenglow Stube, the highest AAA Four-Diamond restaurant in North America. Take the gondola to the top of the North Peak, where you will find award-winning chefs preparing Bavarian-influenced meals. Alpenglow Stube has the reputation as one of the best places to eat in any ski town — anywhere. Especially in peak ski season, mountain towns get a reputation for being money suckers. But Keystone in the summer offers plenty of freebies and cheap fun for travelers on a budget. The Friday Afternoon Club features a free, scenic chairlift ride to the top of Dercum Mountain. (Other times of the week, you have to pay, but even then it's not expensive.) At the top, free live music and free activities await. Add that to the incredible views and food and drink specials, and it's the perfect way to wrap up the week. Looking to make your vacation dream a reality? The Ultimate Family Summer Adventure is a fully customizable vacation package that allows guests to experience Keystone based on their preferences. Whether you want some downtime at the spa, an active outdoor adventure or a wellness vacation with fitness and yoga offerings, this package makes it easy for you to piece together a trip that meets all your needs. One option: The Keystone Lodge & Spa features a spa with more than 10,000 square feet of amenities, including a eucalyptus steam room, year-round outdoor heated pool and an oxygen treatment that's great to help combat the high altitude. (At this height, a spa treatment is not just considered a luxury; it can be a health necessity. Altitude sickness can completely derail your trip.) 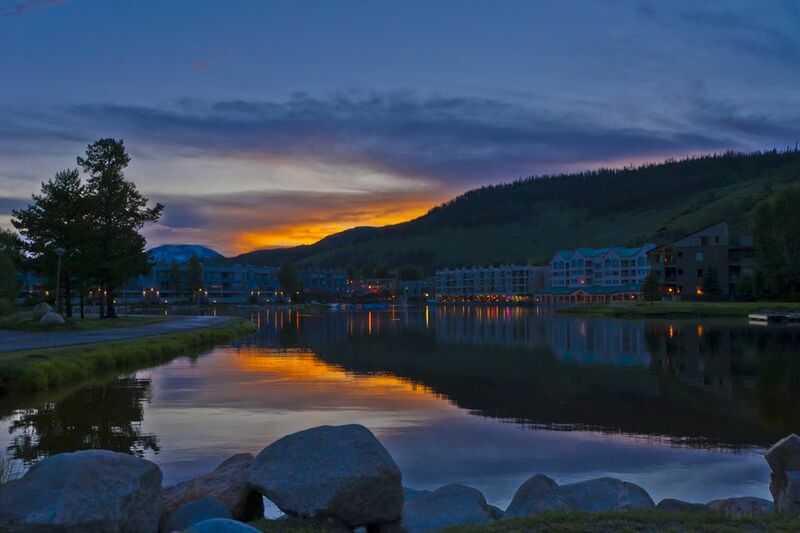 The Keystone Lodge and Spa is considered one of the top places to stay and unwind in Keystone. Whether you're a spa kind of traveler or not, mix and match to craft your own package and save money, time, and effort in the process. 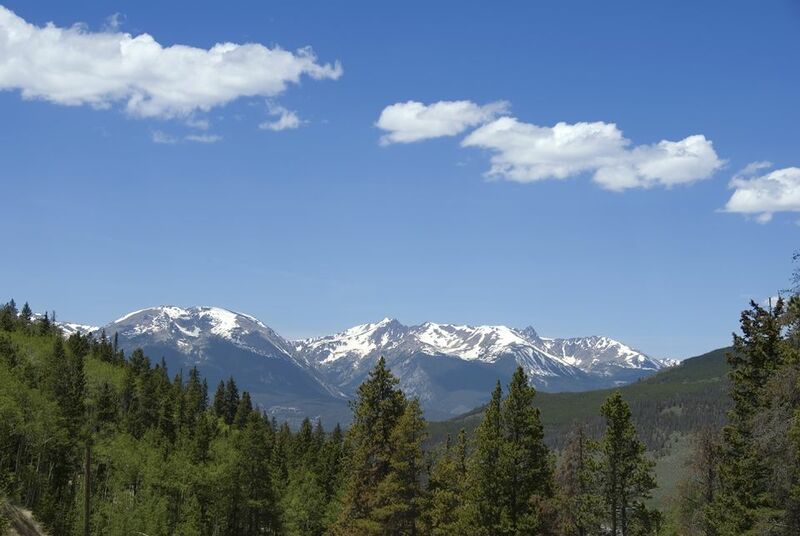 Add this to just one more of the many reasons why Keystone is one of our favorite places to explore in the summer.